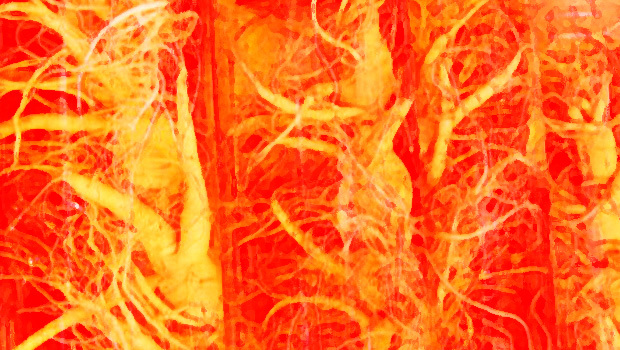 Rhizome – In terms of the rhizome/tree distinction of Deleuze and Guattari, rhizomes (potatoes and grasses) are the spaces in which they, as machines of meaning, make meaning. They are the whole world. There is one world—the real world of signs. Trees suppose a world “out there,” roots in the mud, nourished and real, to be mimicked in some higher art-plane, the world of signs, by the trunk (unifying thema, central point) and branches (chapters? characters? lines of inquiry?) and leaves (individual signs?) of the tree. The idea is that the most powerful works are not removed from life, and life is not removed from those works. How you achieve this integration, without “cleverness,” is one problem to be investigated. With The Bluest Eye and other novels, Toni Morrison obviously did not sit down to write a clever, Postmodern trick; she wanted to (and did) write a tortured, harrowing investigation of the Black American female experience—power and powerlessness, cunning and banished romance and vanquished childhood and sticky sweet transpositions of the flesh (the pie falling off the sill, splattering against and burning the girl’s legs)—a coarse, beautiful, stitched-together story about dolls and movies, candy and chanted insult-mantras. Of course, to write the most effective book, living in postmodernity, Morrison resorted to all the hallmarks, almost every single one, of Postmodernism pur sang: She wrote a book both fragmentary and rhizomatic; it does not presuppose a fairytale separation with its subject or its readership; even if you are not alive in 1941 in Ohio, you are, at least for conceivable generations hence, alive in an American often mentally geographed along racial lines (geo-graphos = earth-writing). The first chapter of A Thousand Plateaus: Capitalism & Schizophrenia (II), “Rhizome,” is twenty pages of dense, almost Beckettian prose; it’s mind-blowing; I reread it and feel energized, ready to engage a sign-world that has, with Postmodernism in generally but especially, especially with the internet, flattened into/onto/through the non-sign world. I feel like understand what to do, writing, to not cut myself off, to not “trace” myself (make a permanent, hard, dichotomized, separate, pure, out there, citified, treelike copy), but to remain nomadic (fluid, the 0-dimensional potato). There is no better book on the philosophy of literature than A Thousand Plateaus.